Concern in Canada about online privacy is higher than ever before according to a new survey, with surveillance by the USA’s National Security Agency (NSA) a particular worry. A survey by the Canadian Internet Registration Authority (CIRA), the organisation which oversees the country’s .ca domains found that a huge 76% of Canadians are concerned about data privacy if their information is routed through the USA. That is an increase of 12% of the previous year, which shows that awareness of the issue of online privacy is on the rise. But despite the high level of concern, most do not understand how it happens or what actual risks are involved. The CIRA’s Internet Factbook 2017 reports that only around a third of Canadians are aware that much of their data is routinely routed through the USA. Furthermore, most are also unaware that once their data leaves Canada it is no longer subject to Canadian data protection and privacy laws. What this essentially means is that for much of Canada’s internet traffic, their domestic privacy laws are irrelevant because that data passes into the US and is most likely routinely monitored by the NSA. And that’s not all. Information that Canadian’s input into US-based websites and social media services such as Facebook is all going to be heading off to the USA. And many of the most popular cloud storage services in Canada are based in the USA and any data stored on them is likely to be subject to NSA snooping too. While an increase in awareness of online privacy issues more generally is, of course, welcome, the lack of public awareness about what happens to their online data is more of a worry. Perhaps the Canadian Government should be a bit more transparent about the issue. 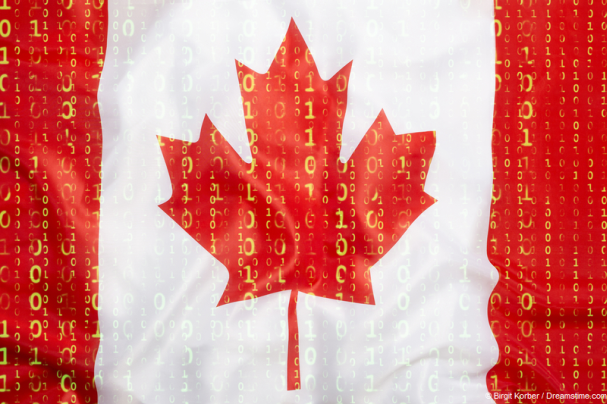 But it is something they are aware of themselves and the concept of ‘data localisation’ – that is ensuring that all data related to Canadian citizens is stored in Canada and so protected by Canadian law, is something that has been on their agenda for a while. This is a concept which the Russian Government has been strongly condemned for, but whereas they want to localise data in order to enable them to snoop on it, the motivation behind Canadian localisation is to protect it from the snooping of their neighbour. The problem is that it doesn’t seem to be a particularly high priority. It has featured in discussions between the USA and Canada over the North American Free Trade Agreement (NAFTA) negotiations. But the USA is strongly against the notion as it is keen to retain the data flow in order to allow the NSA to be able to see as much as possible as well as enhance US corporate profits. Some have criticised the Canadian government for being too soft on the issue, but the USA has been consistent in their stance for a number of years and seems unlikely to change now. What can worried Canadians do? For those Canadians who are still worried about online privacy, and after reading this story there are likely to be a few more, there are a couple things you can do. Firstly, earlier this year, the Office of the Privacy Commissioner of Canada launched an online tool for all Canadian citizens to use. It is called IXmaps and it enables Canadians to see where in the world their online data is being sent to. This is likely create even more worry, so the next step to take is to sign up for a high-quality market-leading VPN service such as IPVanish or ExpressVPN. These will encrypt all of your online data which will make it much harder for the NSA or indeed anyone else to access it. It will also allow you to change your IP Address and connect to the internet via a server which is much further away from prying American eyes than any in Canada are currently able to. There are plenty of other countries which offer strong data protection and online privacy laws. This week’s latest Freedom on the Net report highlighted Estonia and Iceland as two great places to start.